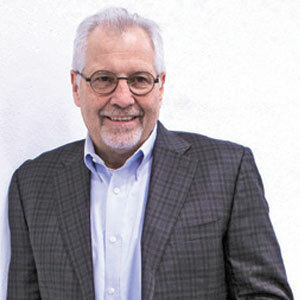 As an eternal optimist, Michael Kopper always believed in the power of opportunity. At the tender age of 14, Kopper began his career in Germany as an apprentice with the environmental manufacturing company HumboldtWedag. After earning his degree from a technical college in Cologne, Germany, he went on to supervise the startup, operations and process refinements of centrifuges around the world for the same company. Years later, while living and working in the U.S, HumboldtWedag dissolved due to financial instability, and moved out of the U.S. Unwavered by the failure of the company, Kopper found an opportunity to channel his centrifuge manufacturing and service expertise into productive use by laying the foundation of his own company—Centrisys Corporation. Headquartered in Kenosha, WI, Centrisys started as a service, repair and optimization company for decanter centrifuges that were manufactured by the world's largest centrifuge manufacturers. “Our team didn’t just fix centrifuges, we studied them—what works, what doesn’t and why. And we set out to design the most robust and reliable decanter centrifuge on the market,” says Kopper. In 1989, prompted by the urgent need of a municipal customer who could not wait for a decanter centrifuge to be manufactured overseas, Kopper and his team designed and built their first decanter centrifuge. To achieve this feat, they utilized their dewatering know-how and optimization expertise of what did and did not work for the different brands of centrifuges they repaired throughout the years. This innovation foundation still drives the company today, as Kopper leads Centrisys with out-of-the-box solutions to advance the industry. Decades later, still with a niche in centrifuge technology, Centrisys continues to drive innovation and produce breakthroughs for industrial and municipal applications worldwide where the focus is to achieve more with less. "We are gaining popularity in the mining and tailings industries. Historically, tailings have been discharged as liquid into ponds. Environmental regulators are requiring these ponds to be cleaned or eliminated. A Centrisys centrifuge is one the most efficient types of equipment to convert the liquids into a stackable solid and help with the challenge of cleaning the older ponds"
With this forward-thinking approach, Centrisys has been taking centrifuge equipment and processes for liquid-solids separation in wastewater, water and environmental processes to the next level. At the onset, a highly-qualified team of engineers in the company analyze what the customer’s vision is; what challenges they are facing and ultimately how the centrifuge needs to work in order for their entire process to be effective. Later the team discusses design requirements with Centrisys’ mechanical, electrical and process engineering teams. They research process feasibility for the centrifuge in the lab first – if the test result is positive the next step may include a field demonstration to further analyze the findings. Once everyone is convinced the centrifuge will work in the process – a full scale system is designed and built. After the equipment is installed, the process and field service groups work on-site with clients for any tweaks or improvements that may be needed. It’s not unusual to add additional equipment or chemicals on site in order to improve the overall process and ultimately the bottom-line and profitability for the client. For clients in the mining industry, the company has designed centrifuges that allow for a drier product, saving them money in associated disposal costs. The Centrisys centrifuge design allows for continuous monitoring and adjusting based on the load. This adjustment is achieved thru the customized hydraulic back-drive. The solids are retained under the G-force for as long as possible; this improves the moisture content of the solids discharge. “We are gaining popularity in the mining and tailings industries. Historically, tailings have been discharged as liquid into ponds. Environmental regulators are requiring these ponds to be cleaned or eliminated. A Centrisys centrifuge is the most efficient equipment to convert the liquids into a stackable solid and help with the challenge of cleaning the older ponds.” adds Kopper. In coal mining, the washeries are designed to separate the coal from the tailings. Here, fine particle separation is not only essential but can also be very profitable. Centrisys’ centrifuges ensure a better separation, making it possible to recover those fine coal particles and still end the process with clean water. In fact, Somerset Coal approached Centrisys to develop a centrifuge to recover coal fines sub325® to a discharge of 25 percent moisture for their fine coal recovery system. This partnership resulted in a newly designed high G-force, high torque, low maintenance centrifuge, specific to their coal process. Centrifuges are now installed in coal mines across Canada, U.S., Australia, and Russia. 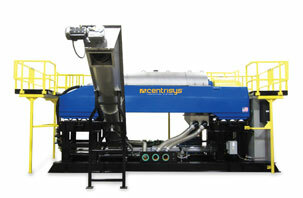 Alongside mining, Centrisys has centrifuges in any industry that requires liquid/solids separation. This includes food processing, municipal and industrial wastewater, biofuel production, oil refineries, chemical processes, manure and more. Centrisys also supports the process of tunneling or creating subways as it is important to classify fine particles through centrifugal separation. Clients from various industry verticals value Centrisys’ centrifuges formaximum uptime backed by industry-leading support to help them not only save significant costs but become more profitable in the handling of solid wastes and liquids as a more environmentally appropriate waste or a higher grade of a recovered bi-product. Centrisys has developed an efficient solution for thickening sludge that is specifically engineered to achieve high-performance thickening of biosolids or organic products i.e., yeast, algae. The company’s sludge thickener (THK Series) has proven performance to reduce operating and maintenance costs with 50 percent less power consumption, using little to no polymer. “Traditionally to thicken sludge using a centrifuge has been done by modifying a dewatering centrifuge using chemicals (polymer). This makes the process expensive for the customer. Our THK is quickly gaining acceptance in the marketplace; it’s specifically designed to thicken sludge using little to no polymer–dramatically reducing the carbon footprint, unheard of in the industry before, especially with the high throughputs we achieve with our thickener,” says the CEO. Kopper points to the three keys to continued centrifuge success—reducing energy consumption, improving performance, and maximizing uptime. Centrisys rightly delivers these three aspects with complete ease. The company has evolved into a worldwide technical leader in designing and building new systems with enhanced performance and durability. The company’s niche focus from day one has been on providing high-quality, reliable centrifuges with the lowest TCO, highest uptime and the best service to the industry. Instead of worrying about the competition, the company focuses on what they do the best—design, build and service centrifuges. “Our business strategy from the beginning in 1987 has been to build the best centrifuge, not an average piece of equipment, which may have a lower CAPEX and then hope to make up the difference with service and repair fees. That’s not a great strategy for customers who need the centrifuge to be running as much as possible,” explains Kopper. Unlike its competitors, most of which are very large global companies, Centrisys has an employee base of 150, which allows them to be agile without having layers and layers of decision makers leading to delays, waiting for “someone”“somewhere” in a company to make a decision. With over four decades of experience in centrifuge manufacturing, Kopper is always at the forefront in developing innovate biosolids treatment processes and infuses a spirit of ingenuity in the company. Kopper’s love for speed translates into the company with the production of high-speed centrifuges. The company is based in the heart of the Midwest owing to the famous craftsmanship skills of the people located in that region of the U.S. In addition, Centrisys believes in the power of education for its employees—paying for continuing education to harness their skills and stay on top of the curve for manufacturing and fabrication trends. “I have a great team, most have been with me for years, many since the beginning—it’s that combination that makes us ‘uber’ competitive and a company to be reckoned, as Kopper states, “with in the centrifuge space.” What’s interesting with Centrisys is that it has grown organically focusing on servicing and manufacturing centrifuges. While the company’s R&D lab in Kenosha is helmed by a talented group of engineers, Kopper believes there’s a lot of learning in the field. That’s where one can see how the centrifuge works in real world applications. In the recent past, Centrisys has designed a centrifuge specifically engineered to achieve high-performance thickening of biosolids. The THK’s non-conical design results in greater G-volume, allowing for the highest capacity of flow to the centrifuge using little to no polymer—ultimately saving customers a lot of money. Centrisys has also started a subsidiary division called CNP - Technology Water and Biosolids Corporation. This division focuses on biosolids processes for nutrient removal and recovery (AirPrex® and CalPrex™) and thermal chemical hydrolysis (PONDUS™). At present, the company has expanded its operations by increasing its production facility bringing the total to 130,000 square feet in Kenosha, WI. The company is aiming to minimize environmental damages by helping mine more economically with higher recoveries. The trend ahead is cleaning up of lagoons and ponds that were historically dumped with fine metals, and Centrisys is actively supporting the cleaning process with its centrifuges. Centrisys is looking at enhancing its growth in the biosolids, and environmental markets while aiming to help customers become more energy efficient in the process. Kopper cites an example where Centrisys/ CNP partnered and supplied equipment and technologies on a design build project foran energy recovery system for the city of Kenosha, WI. Centrisys/CNP with their PONDUS system hydrolyzes biosolids to improve fermentation/digestion and increase gas production by 25-27 percent. The increased gas production allows for power and heat to be utilized to operate the hot water needs and power for the plant. As an end result the biosolids are being dried to 94 percent solids for a Class A product to be used as a soil amendment. He believes this is the way of the future where biosolids can be put to best productive use instead of throwing them into the landfill. Similarly, for mining and metals applications, the team at Centrisys is currently in the final development stage for a centrifuge to extract phosphates as well improve metal concentrations from waste accumulated at mining facilities.